Part 7: How important is our body condition to our brain health? Some movies are based on an idea that in the future a human brain can be placed into a robots body citing the best of both worlds. Unfortunately the science is wrong because the robot body cannot provide blood at the correct viscosity and temperature and oxygen to the brain. It's easy to get confused about our conscious self and that part of us that seems to run by itself. Of course it is just one body but for this discussion let's simplify and call our conscious self "Cself" and your body's autonomous systems controller and general manager "Aself". Now imagine that the Cself of our body is the CEO of our body as well as an Advisory and Backup support person for Aself. Cself needs us (See Part 9). We (Cself) are Aself's source of knowledge and we have been teaching it to remember things since we were born. 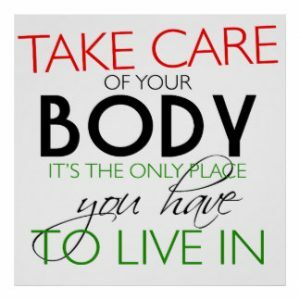 The Aself part of us looks after us and it is the Cself in us that has to make sure that this wonderful lightweight organic body of cells is well looked after. It lives comfortably inside our bony skull however it still can be damaged. What are we talking about? Isn’t all of my Mind controlled by me? Well yes and no because sometimes Aself will go ahead without Cself and it does influence Cself's decisions. Have you thought about who controls your body when you are breathing, eating or drinking or even walking? Do you personally have to think about every single move that you make or have you realised that our body is like these new autonomous motor vehicles as it does lots of things all by itself. Obviously something is controlling all of these. You are always teaching Aself many things like when you were a child on how to put a spoon full of food into your mouth. That took some time. You crawled on the floor for some time before you learned how to walk, or ride a bike. Now imagine you are about to cross a road: you look around and you (Cself) are about to cross over and someone toots their horn. Who thinks about what to do next. Actually Aself takes over a few microsecond before Cself actually hears the sound. Aself prioritises the neuron for you ears, recognises the possibility of danger and Aself stop you moving. All of this happens just as you, Cself, hears the sound. Aself didn't wait for Cself. Actually so many people walk while watching their smart phone get hurt because they aren't paying attention and Aself isn't getting any feedback for the senses. Of course both Cself and Aself can manage without many parts of our body and we can even manage to survive brain damage. One thing is quite clear; Aself can do most things without any help from us. Let’s learn what can damage our brain? If you get shot in the head. Obviously this is not good but it does happen so …! A concussion is a result of a violent blow to the head that can cause unconsciousness. Always make sure you are wearing proper equipment for various sports and/or a helmet when riding your bike or motorcycle just to be on the safe side. A contusion is different from a concussion in that it is a bruise on actual cell tissue. This is caused by severe blows to cause bruising. Wear a helmet on a bike perhaps and don’t get into fights. Many people love to bang their heads (i.e. shaking their heads fast and hard) to heavy metal or rock music. Not much help at the moment but scientists are working on this sad condition. Keep yourself hydrated to avoid an unnecessary loss of cells. Causes memory problems as well as cell death. If your breathing becomes obstructed, you will not get enough oxygen to keep cells alive and healthy. Can cause major damage and involves extensive recovery to help get yourself back on track. Everyone working in a home garden or even walking in a greengrocers store may be exposed to pesticides. If your skin start to feel itchy, or if your throat starts to close, get away from that place as soon as possible because you are in danger from an allergic reaction. A lot of people do not have a reaction and the pesticide will just be absorbed through your skin and cause problems inside. Just keep in mind that if you work with pesticides, you are putting your body at risk. This means regardless of what it is make sure you cover up all parts of your body. After work remove clothes and place them into water ready for washing. If you have a reaction go straight to the nearest shower and take an antihistamine. Fluoride is found in things like toothpaste and drinking water. Although it is another highly controversial substance like aspartame, the general unproven consensus seems to be that it is bad for cells. Formaldehyde is a well-known human carcinogen, nevertheless millions of tons per year are used for building materials and household products. It highly toxic and exposure can cause problems within the central nervous system. New house or new car smells might include this chemical. There have been many reports on the abuse of formaldehyde as bleaching agents and preservatives in food. This is serious and important that we wash carefully all vegetables, fruits and where possible eat freshly caught fish. Nearly all solvents are poisonous if swallowed. Sniffing solvents, a popular pastime by some, can cause severe damage and death. Researchers link sedentary behavior to thinning in brain region critical for memory. The researchers found that sedentary behavior is a significant predictor of thinning of the medial temporal lobe and that physical activity, even at high levels, is insufficient to offset the harmful effects of sitting for extended periods. Chemotherapy cause cells to die off rapidly, but certain drugs given post-treatment continue to damage and kill neurons. Most chemotherapeutic agents target rapidly dividing cells – an extremely common trait of cancerous cells. Because these agents kill rapidly dividing cells, they also kill cells that divide rapidly as a part of their normal everyday functioning. Part 6: Does our Brain Sleep? Part 9: Why do we never forget bad things Part 10: What are hormones and what do they do?